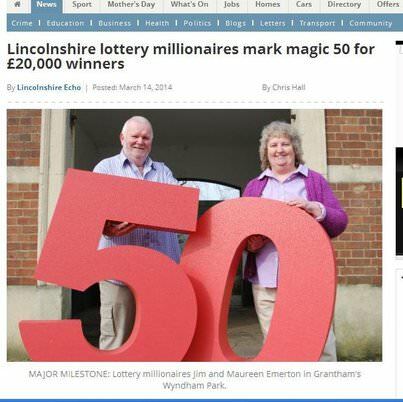 Jim and Maureen Emerton visited Grantham’s Wyndham Park – to help celebrate the fact that 50 Lincolnshire residents have won £20,000 Lotto Raffle prizes in six months time. The park had also recently been awarded a £117,000 development grant from the Heritage Lottery Fund and the Big Lottery Fund in January. The grant was made to have the park restored to its former glory as a World War I memorial. Kesteven town council will help decide just how the money will be spent. The Emertons were big winners in 2012 when they snagged a £4.46 million National Lottery jackpot. They later moved to Lincolnshire. They said that though they were new to the place, they have grown to love it and the park as well.